Westbourne Motorsport return to Brands Hatch this weekend [29-30 September] in the race for a maiden Renault UK Clio Cup title with BRDC Rising Star James Dorlin. The Worthing-based outfit have added five victories, four pole positions and nine podiums to an already impressive record in the UK’s most competitive single make category over the course of the 2018 season. A mere 7 points is the deficit to championship leader Max Coates with a maximum possible score of 56 available on the 2.43 mile Grand Prix loop. It was at the season-opening Brands Hatch double header back in April that team mate and 2011 championship runner-up James Colburn kicked off the Vantage Motor Group and GardX Protection-backed team’s podium tally for the season. 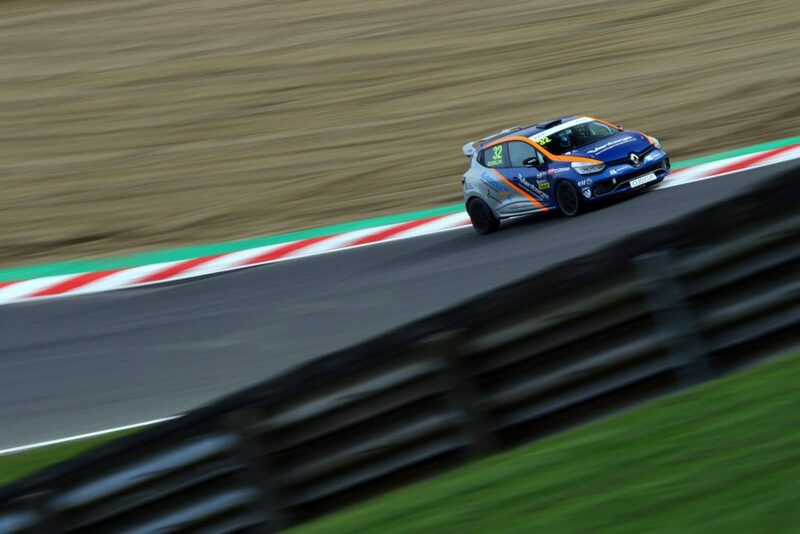 He will be aiming for a return to the rostrum this weekend, with sibling Ben aiming to continue his recent form after graduating from the Michelin Clio Cup Series into the fourth-generation Clio Cup car. Qualifying will prove crucial for the trio, kicking off the action at 10:55 on the Saturday ahead of the opening contest at 16:00. The finale will be screened live nationwide through ITV4’s free-to-air television coverage at 13:30 the following day. James Colburn (#7) said,“We head to Brands Hatch in fantastic shape. It could be a huge weekend for the team with a maiden title on the line, and I’m hoping to end the campaign on a personal high with a return to the podium. James Dorlin (#32) said,“”It’s another good points haul and it’s always great to end the weekend on a high with a podium finish. Things are now looking pretty close heading to Brands Hatch in two weeks, and it’s all to play for. “We’ll go back to base to regroup now and make sure everything is in top condition ready for the finale – I know everybody at Westbourne Motorsport will give me a car capable of getting the performances we need. Ben Colburn (#55) said, “It feels like the season has gone by so quickly! We’ll head to Brands Hatch this weekend in optimistic mood – everything is there for the team to secure a maiden title, now the pieces just need to fall into place. Tagged Ben Colburn, Brands Hatch, James Colburn, James Dorlin, Renault UK Clio Cup. Bookmark the permalink.